Brace yourselves. What's likely the biggest snowstorm in years has reached our area. 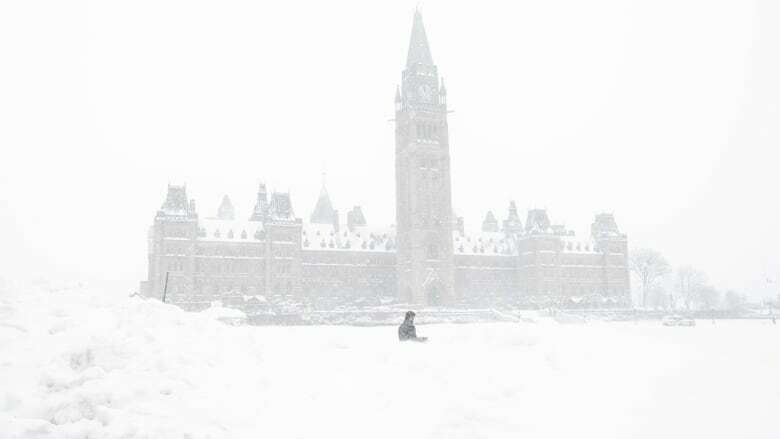 It's a Colorado Low, which normally gives us 10 to 15 centimetres of snow here in Ottawa, so why 25 to 35 centimetres in the forecast? Simply put, this is a stronger than normal low and the track of the storm is putting the maximum snow shield right on top of us. Light snow started in Ottawa around 4 p.m. with the worst part of the storm coming this evening. It will continue into early Wednesday, when the snow will be at its heaviest and the wind will be at its strongest with gusts up to 60 km/h. In the Kingston area, snow has been falling since early this morning. A winter storm warning is in place for the entire region and travel in this period is not advised. Overnight parking bans are in place and public meetings are also postponed. It's still dangerously cold as well, with a wind chill around the frostbite advisory threshold of –25 most of the day.